vegan | Gluten Free? Gimme Three! Cafe Green – bad service, good cheesecake. It’s a shame that when you’re looking for brunch places in DC with vegan and gluten free options, there are really only a handful of places that come immediately to mind. Cafe Green is always top on the list because of their menu and central location, but they’re also notorious for having bad service and being a bit discombobulated. When I met up with Katelyn (New Kid on the Vegan Block) there this weekend, they were certainly true to form. The first mistake was our bad – we assumed they served brunch on Saturdays, but it’s only on Sundays. The rest were their bads. There was a mix up with our food order, we didn’t get our “superfruit” cocktails until after our meal, and they kept trying to take our coffee away. 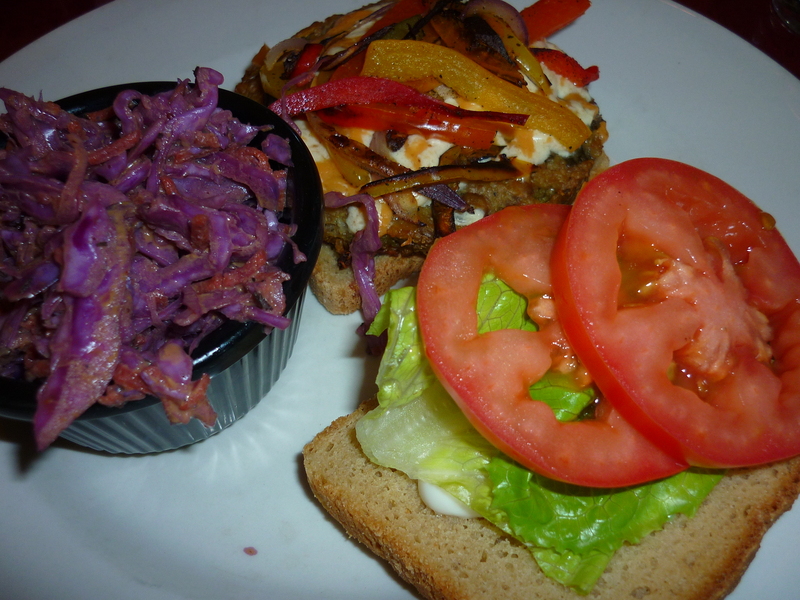 Either way, their “famous” veggie burger was pretty darn tasty, and the coleslaw was great piled on top. I love daiya cheese for its Velveeta-like creaminess, and the peppers were also a nice touch. 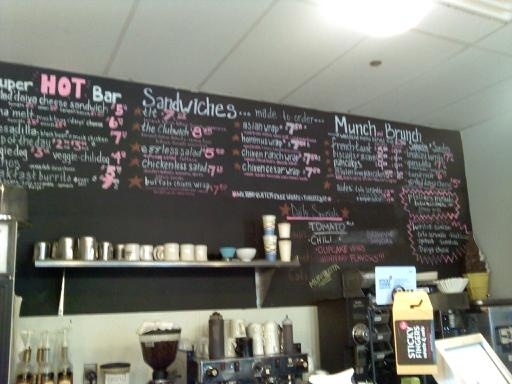 You can see Katelyn’s tempeh sandwich on her post. I really need to stop ordering sandwiches at places with Udi’s bread. It’s not good, I end up paying extra for it, and it’s small and not flavorful. Why don’t more restaurants have local gluten free bread? Or at least attempt to make their own? The bread that comes out of my breadmaker is approximately 900 times better than Udi’s. I get that Udi’s is probably the cheapest option for restaurants, but it’s just so…lame. K, rant ended. My hatred for Udi’s bread grows stronger every time I eat it though. My recommendation for going to Cafe Green? Don’t go with someone who is going to complain about the service, only easy going people who don’t mind waiting/dealing with weirdness. Also order the mac and cheese and the cheesecake. They’re the best things on the menu. Also make sure if you want brunch you go on SUNDAY. 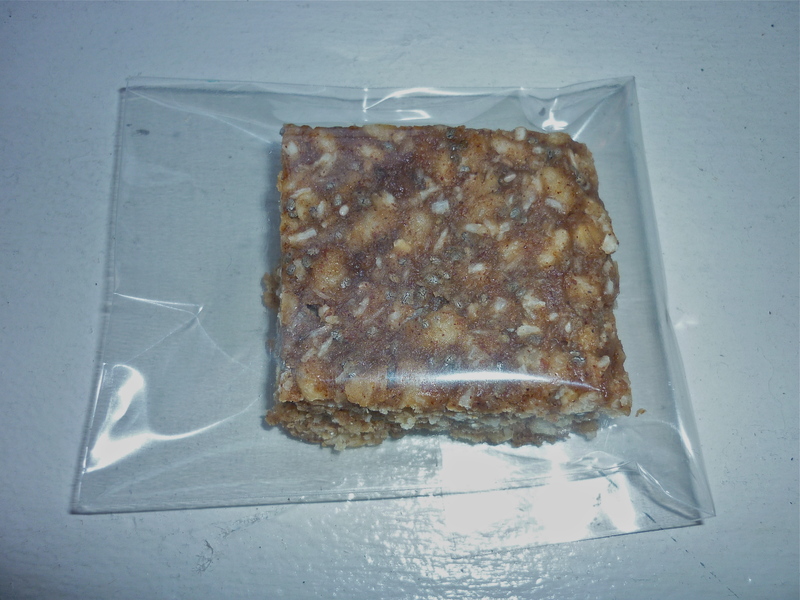 I brought home with me some chocolate banana cheesecake (amazing), and some of Katelyn’s homemade granola bars! (also amazing). I know she’s been working on perfecting her recipe, but I can’t imagine them getting much better. They’re my favorite kind of granola bars – moist, flavorful, and addictive. Now I still have to go back to Cafe Green for brunch at some point, because they have a few pancake/french toast plates that sound delicious. Maybe I’ll bring them some of my bread so they can think about replacing that Udi’s with something more…edible. I saw Hail Merry’s tarts at Yes! Organic Market a few weeks ago, but didn’t actually get one. 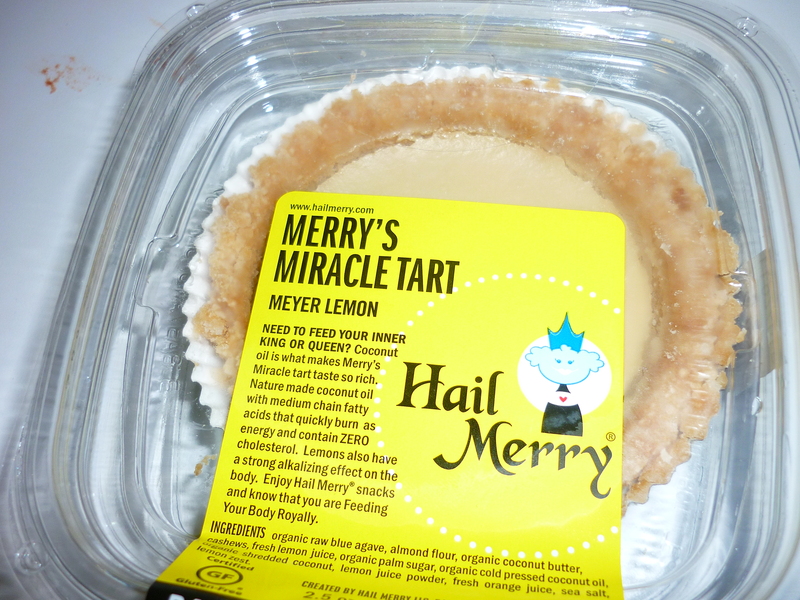 This time I decided I needed to try one, and picked up the Meyer Lemon Miracle Tart. It was pretty amazing. Like a lemon bar with a big bang of lemon flavor. 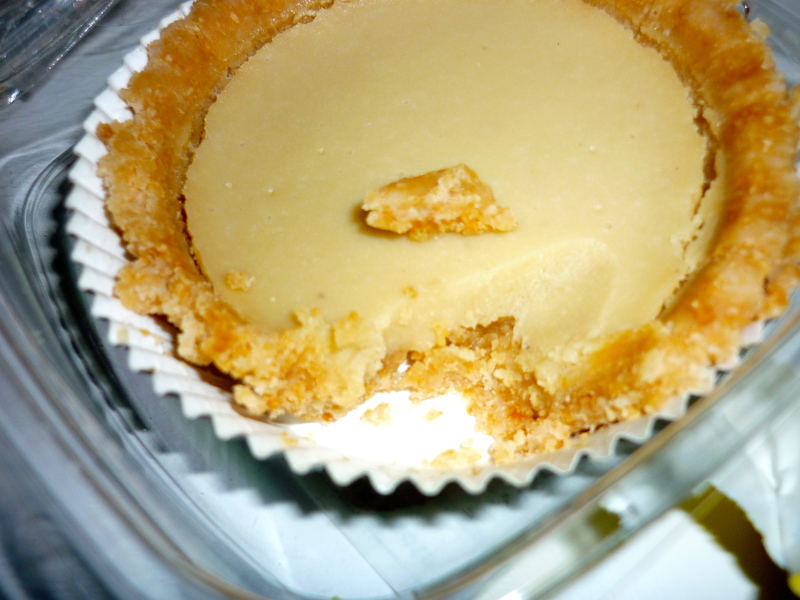 The filling was creamy, the crust crumbly and flaky. I’m sure that the chocolate tarts are great too, but I feel like it takes more finesse to get a lemon dessert right. I’m saving the rest until I can pick up some whipped cream, since I think that’s the only thing that would make this tart better. I also picked up a pack of the Vanilla Maple almonds. Unfortunately they were expired, so not as crunchy as they should be, but the flavor was still great. This is one of those things that you should probably make yourself, but it’s nice to have someone make for you. 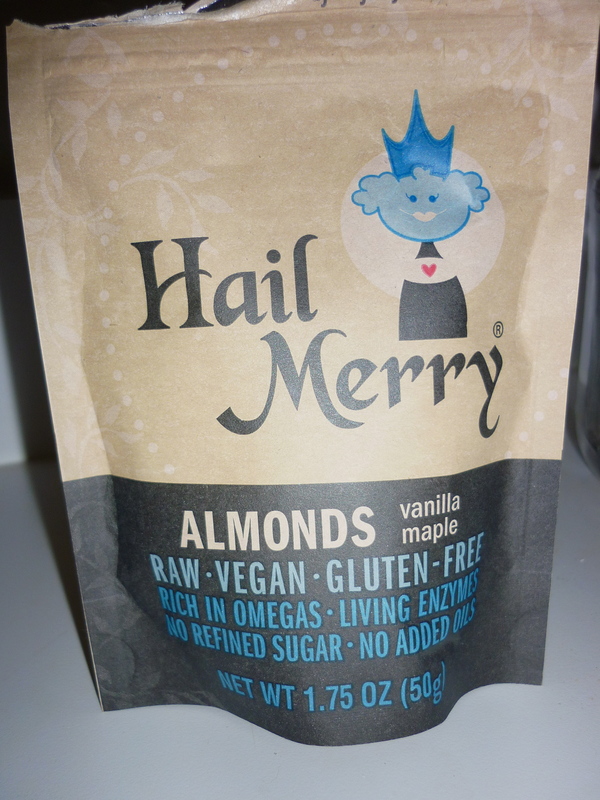 I love Hail Merry products because they come from a company that really seems to care about the gluten free community. Their blog and attitude toward gluten free products, plus their approachability, makes them a company I feel good giving my money to. 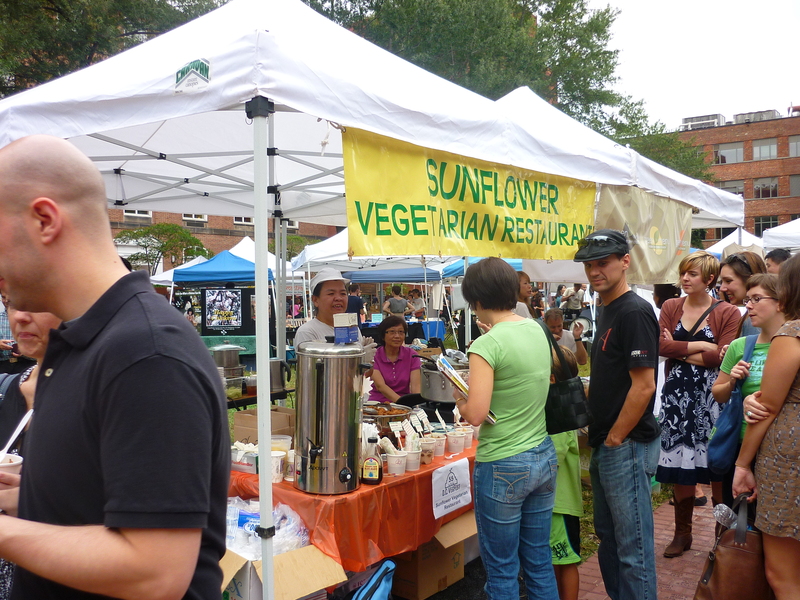 This Saturday was DC Veg Fest, on the campus of George Washington University. Usually vegetarian/vegan events are gluten free-friendly, plus I love vegetables, so I was pumped. Right away the tent for Sunflower Vegetarian Restaurant caught my eye. They had spring rolls and tiramisu that were marked gluten free. Unfortunately, by the time I walked around and got back to their tent, they were out of tiramisu. So sad. Next logical choice? 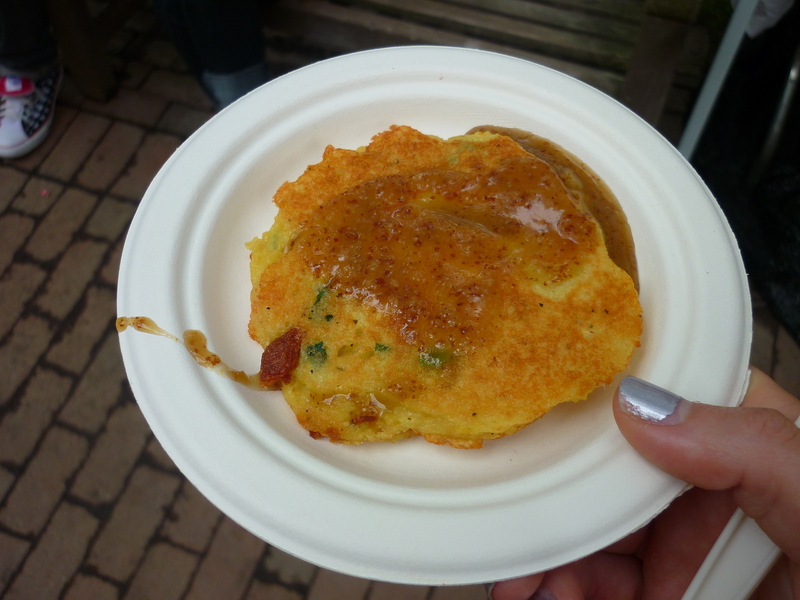 Mung bean pancake from Cafe Green. Just kidding, it was no tiramisu, but it was fine. I wasn’t really expecting mung beans to blow my mind. 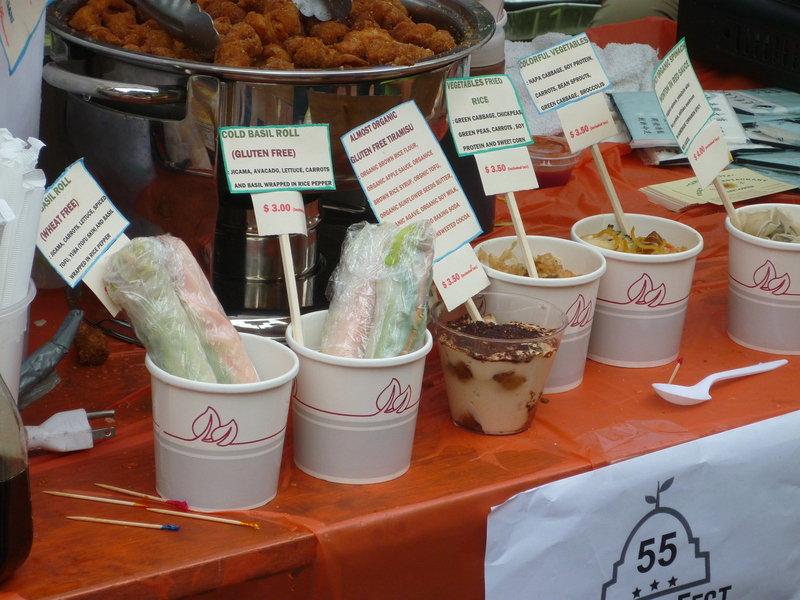 Now, not to be a hater, but there were a few things about the VegFest that irked me. There were hardly any vegetables. There were cupcakes, Indian food, mac and cheese, and nachos. I swear if someone was selling cups of cut up vegetables they would have sold like hot cakes. 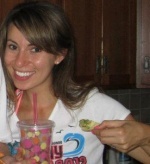 As my friend Kaitlin says, there’s a difference between vegetarians and people who love vegetables. Equating vegetarianism with animal-loving. I mean, who doesn’t love animals? But it’s not the sole reason why people are vegetarians. And I wouldn’t really call myself an animal lover – they can do their own animal thing, and I’ll do my human thing, and if we happen to be together we’ll have a good ole time. At one point a speaker said that vegetarians are the “kindest people in the world”. Really? I know many a bitchy vegetarian that would prove otherwise. And that concludes my VegFest rant. I think I should stick with my gluten free peeps from now on. 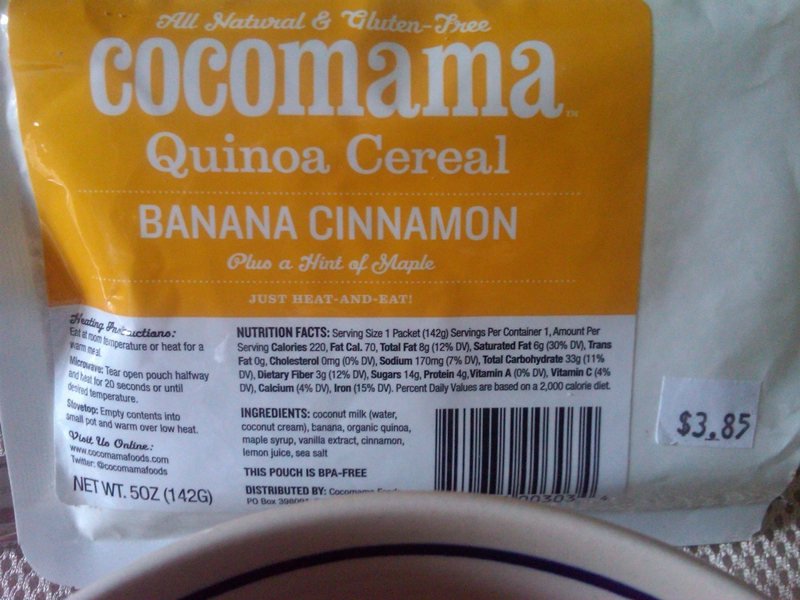 Before I moved to DC, I splurged on a bunch of non-perishables from G-Free NYC, including a packet of Cocomama Quinoa Cereal. In the days when I was moving in, convenience was paramount for meals. So this was a great option, as you basically just tear open the packet, nuke it, and squish it into a bowl. I got the Banana Cinnamon (with a hint of Maple) variety. But they also have Orange Cranberry, Honey Almond, and Wild Blueberry to choose from. Now, whoever was the photographer for the pictures on their website must be a regular Ansel Adams, because mine did not end up looking anything like theirs. Mine looks about five shades darker, and I also just squirted it out right from the package, so it doesn’t have that nice fluffy-looking texture. As far as how this stuff tastes – it is VERY rich. 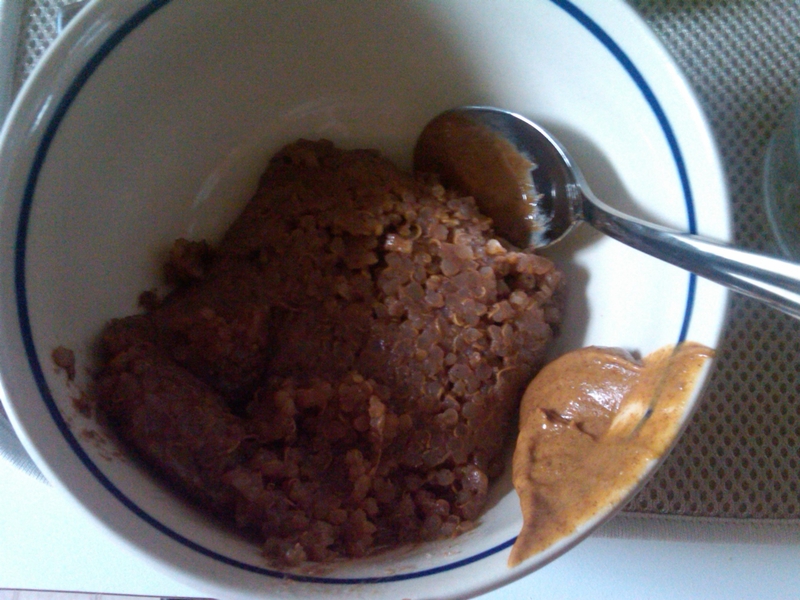 It must be the coconut milk and maple syrup, but it sticks in your mouth and gut like peanut butter. You’ve got to have a big tall glass of cold milk on hand to have with this. 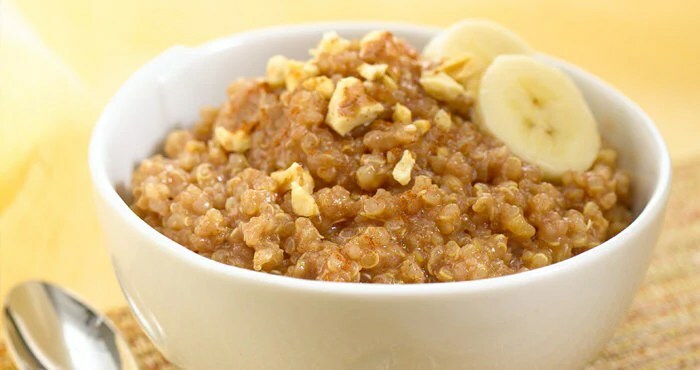 I do like that they have found a way to make quinoa into a sweet dish, since I haven’t seen that done successfully. They use simple ingredients, and have also kept the consumer in mind by making it extremely easy to prepare. For those mornings when you don’t feel like dirtying dishes or doing prep work, these are a great solution. The Whole Foods hot and cold self serve bars are one of my favorite places on earth. You can mix and try new things without fully committing to a whole dish, plus they clearly list all ingredients so you can be sure that everything you’re putting in your bowl/container is safe. 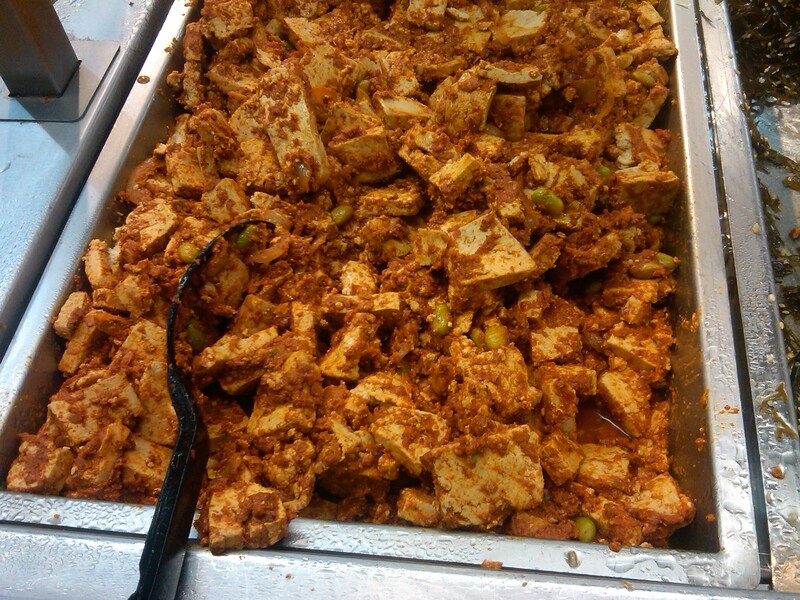 This week a new item made its debut in the cold bar – BBQ tofu. I keep tabs on pretty much every new item that comes on the line, but a lot of them have soy sauce or another grain in it, or just taste weird (ie. their green chile tofu). This, however, is ammmmmazing. It’s basically hunks of a really firm tofu covered in a thick barbeque-ish sauce. containing onions, tomatoes, agave syrup, apple cider vinegar, tamari, bbq flavor (? ), sesame oil and spices. I think it’s got that umami thing going on. But it sure does taste great. 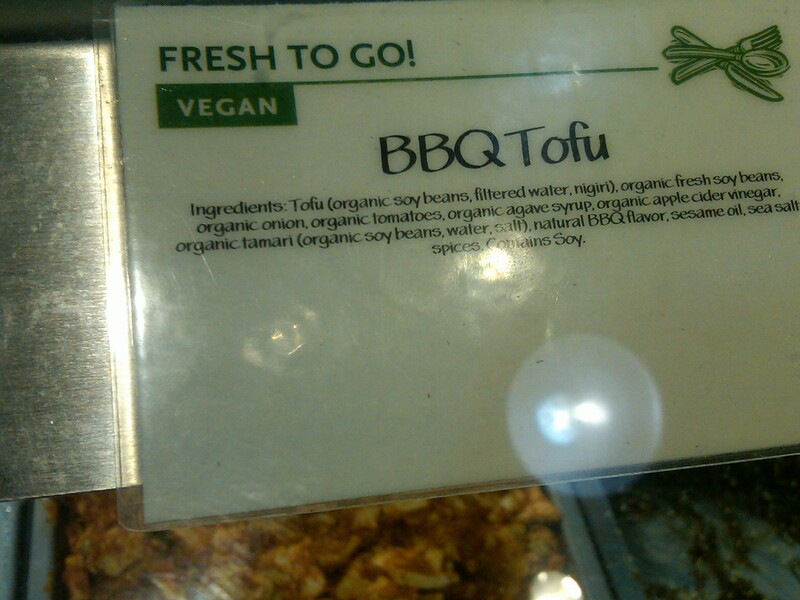 If you see this at your local Whole Foods, don’t be afraid to load up on it. It might up the weight of your meal, but so worth it. Yesterday after work I needed to pick up some things in Cleveland Park, which conveniently has a gluten free bakery, Sticky Fingers. 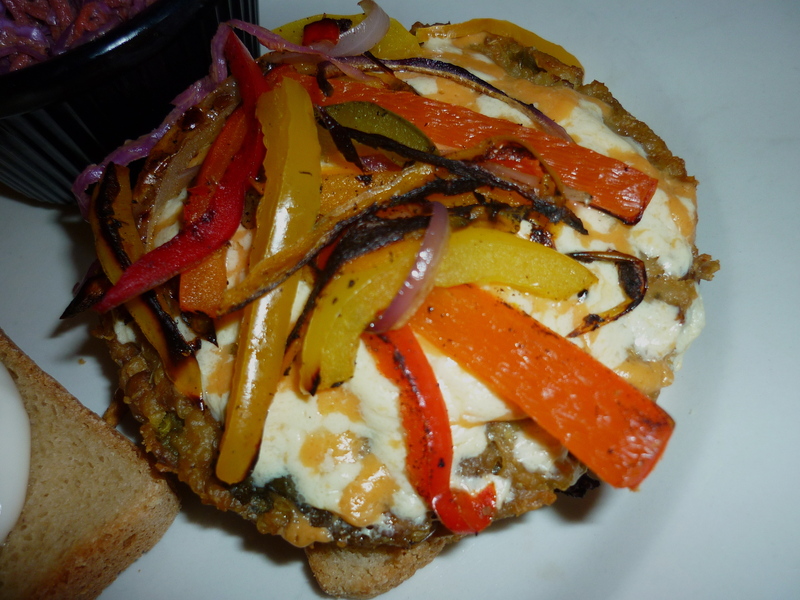 Sticky Fingers is a vegan bakery, but they also have a full menu of savory dishes. I was very excited to see on their menu that they serve gluten free bread and wraps, as well as gf pancakes on the weekends (before 2:30pm). I think I’ll have to go back for lunch and try the black bean quesadilla, hummus wrap, or Mac n’ Teese (gluten free pasta and daiya cheese). Their menu isn’t incredibly easy to navigate, since things aren’t marked clearly as gluten free, but they do provide a list of all the ingredients in their sweets online which is helpful. Since it was dessert time, I was looking for something with sugar in it. 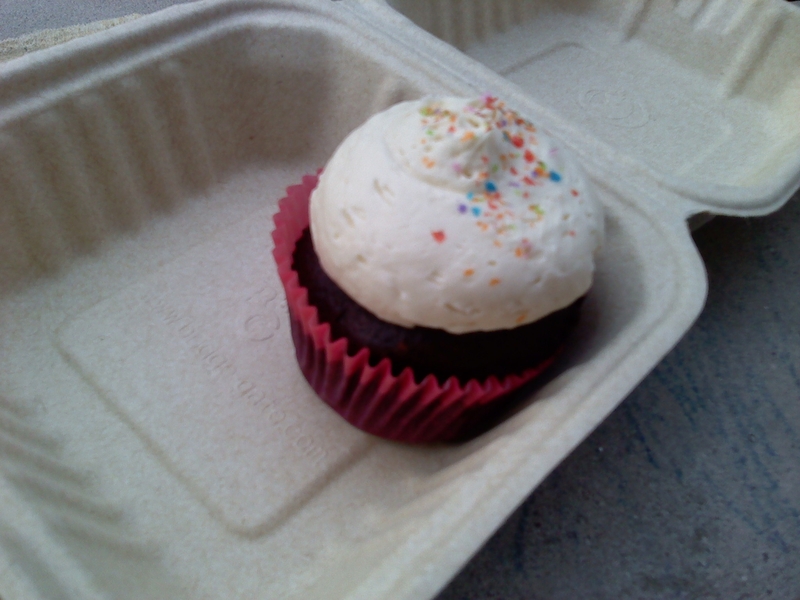 Unfortunately they sold out of their gluten free cookies for the day, so the only option was cupcakes. They had three gf varieties, all with chocolate cake, and your choice of mint, vanilla, or chocolate frosting. I nabbed a chocolate one with vanilla frosting, mostly because I’m a sucker for rainbow sprinkles. They’re like edible confetti. 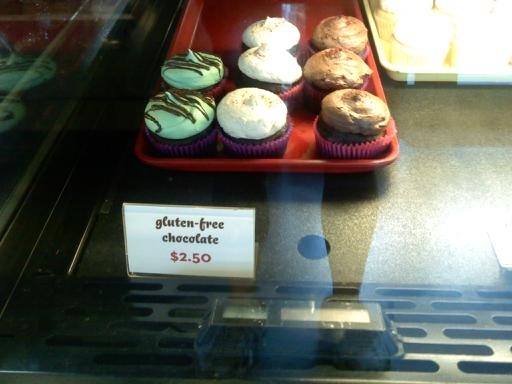 Now don’t get me wrong; it’s impressive that anyone can make a vegan cupcake taste good at all. Sticky Fingers uses tofu in their chocolate batter, and soybeans, and a whole lot of other stuff that sounds complicated. So I appreciate the work that they did that I didn’t have to. I’m looking forward to going back to Sticky Fingers to try their savory dishes and get my hands on one of those cookies. The people there were super nice and helpful, and I’m excited that there is even an option within walking distance of my apartment. I know what you’re thinking – there is more than one type of vegan “beef” jerky? Yes. But Anna, whatever jerky should I choose? No worries, I’m here to help. DING DING DING – let the match up begin! Primal Strips are truly amazing. A feat of food engineering. I don’t understand how those food scientists could make soy taste and feel so much like dehydrated meat. Seeing as I haven’t eaten meat in about four years, this is about as primal as my eating gets. These strips are only 80-90 calories each, and pack about 10-12 grams of protein each. They’re also almost fat free, and have no cholesterol. They’re perfect for a mid-afternoon snack (and even give that guilty-pleasure salt satisfaction, without eating a bag of chips). These are super chewy, fun to eat, and have a ton of meat-ish, BBQ flavor. I’ve been eating Primal Strips for a few months now, so when I saw that the store across from my office started carrying them I was super excited. They also started carrying Stonewall’s Jerquee. So I thought – what’s better than one kind of vegan gf jerky than TWO KINDS? Pretty much nothing. 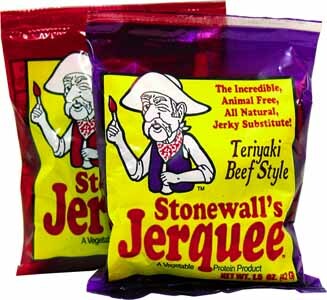 So I picked up a package of Stonewall’s Jerquee and started snacking. This jerky is in little nuggets rather than a strip. These, however, were not the primal experience I was seeking. With such pleasant olde time wild west mascot, you’d think that the product would live up to the packaging. (They also have about 12 different flavors, which was exciting to me). However, the package of Teriyaki jerquee that I had tasted like dog food. It had a grainy texture, unpleasant dog food/stale smell, and left my mouth drier than Cheetos and cardboard combined. I forced myself to eat about half the package (it cost $2.99 so I couldn’t bring myself to just chuck it). But then I had to give up, drink some water, and throw them out. *Sidenote – what’s with the spelling of jerquee? Makes my skin crawl just typing it. 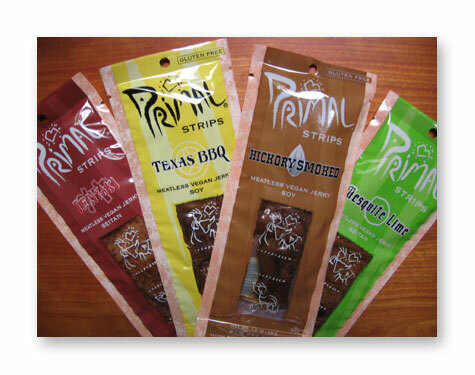 Heavyweight Champion = PRIMAL STRIPS! So, if the thought of vegan jerky doesn’t repulse you – go get some! They’re available at Whole Foods (near the register at my store). Don’t get Stonewalls Jerquee. Unless you run out of dog food.